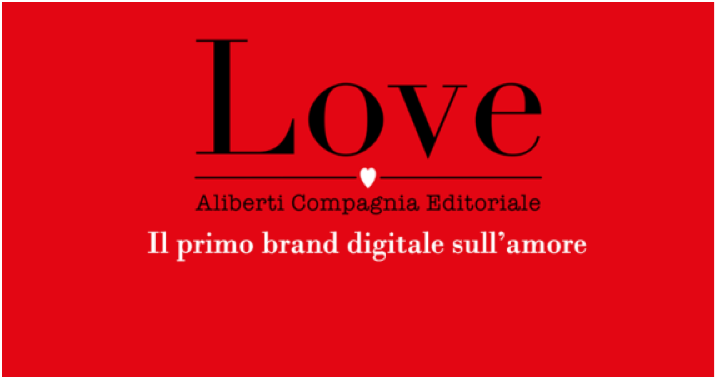 On November 18, 2015 Compagnia Editoriale Aliberti launched the first digital platform in Italy dedicated solely to love. Featuring contemporary authors from around the world, readers are offered a plethora of interesting fiction and non-fiction books. Francesco Aliberti’s vision for this ambitious project became a reality with the help of Dr. Cinzia Giorgio (Love’s Editorial Director). Dr. Giorgio is a well known Italian author, literary critic, and a recipient of the prestigious Strega literary award. In addition, she is a professor of Women’s Studies at the Vatican University in Rome. Readers can find literature based on the following 10 facets of LOVE. Note: the following list contains the original Italian description followed by English translation. All books are currently being offered as e-books, which is a fairly new concept for Italians, but gradually gaining popularity due to the prevalence and convenience of e-readers (especially when traveling). In time, the majority of these e-books will be printed into hard copiesNOTE: For English readers, go to: www.cealiberti.it and click on Love. Then click International Love to find books in your language.